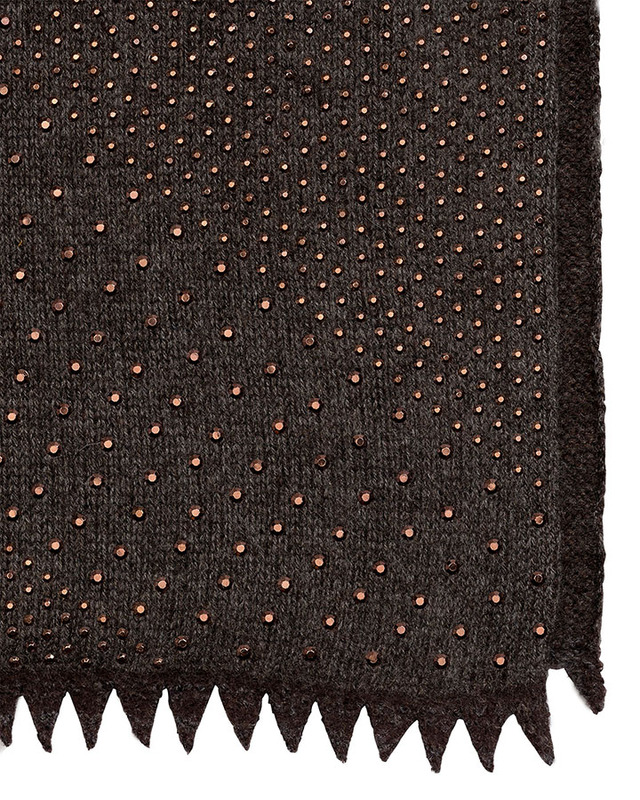 Scottish cashmere studded shawl encrusted with metal rhinestones in a diamond geometric pattern. Fabulous as a wrap worn with a simple dress, or around the neck as a fantastic, sparkling scarf. Classic. Measures 20" x 72".